Written by: Dereck Paul, President Lakefront Utility Services Inc.
It’s 2018 and most utilities aren’t using mobile applications to engage and simplify customer interaction, however, Lakefront Utility Services Inc. (LUSI) are doing things differently. In November 2017 they started a journey to enhance engagement with their customers through mobility. By taking advantage of modern technology, LUSI is expanding their company and helping their customers via the Lakefront mobile application. Despite the Lakefront app only being a few months old, it has seen quite a few enhancements. One of the app’s many strengths is its ability to grow with the company and adapt with the industry through the introduction of new features and updates. These cost-effective improvements in technology are provided through Lakefront’s partnership with Screaming Power Inc. 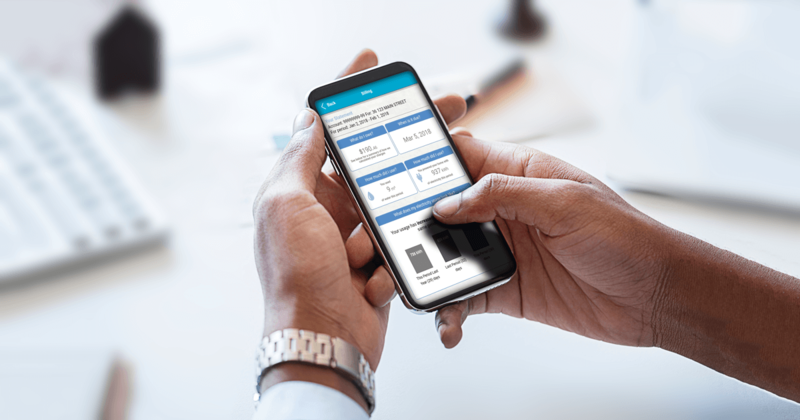 Being one of the first true mobile Utility solutions in Canada, Lakefront has been seeking its customers’ feedback since the app’s launch and working with Screaming Power to develop and improve the application. With Lakefront’s newest version, the application allows the customer to access and utilize their historical billing information themselves in a matter of a few clicks of their mobile device. What’s next for Lakefront’s mobile application? New features are in development that will allow Lakefront to better assist their customers while engaging in the internet of things. Lakefront continues to be a champion of change with the customers’ needs always at the forefront. About Lakefront Utility Services Inc.
Lakefront Utility Services Inc. (LUSI) provides customer-focused and cost-effective multi-utility services so that customers benefit from service advantages and economies of scope cost savings. LUSI also operates the Water Systems for the Town of Cobourg, Township of Cramahe (Colborne) and the Hamlet of Grafton, as well as provides the human resources, administrative, financial and operational services to The Town of Cobourg Holdings Inc. and the utility subsidiaries. See www.lakefrontutilities.on.ca for more information. Screaming Power is revolutionizing customer engagement by providing a mobile platform that connects the energy user, allowing for effective and secure two-way communications to educate, change behaviour and encourage sustainability. Our extensible Intellectual Property provides a low-cost, digital infrastructure with a self-sustaining Eco-System. Our Scream Utility & Scream Enterprise mobile solutions focus on reducing ‘cost-to-service’ for while driving satisfaction and facilitating the delivery of innovation. See www.screamingpower.ca for more information. Discover the Benefits of The Lakefront Utilities Mobile App. Download it today, for Free.